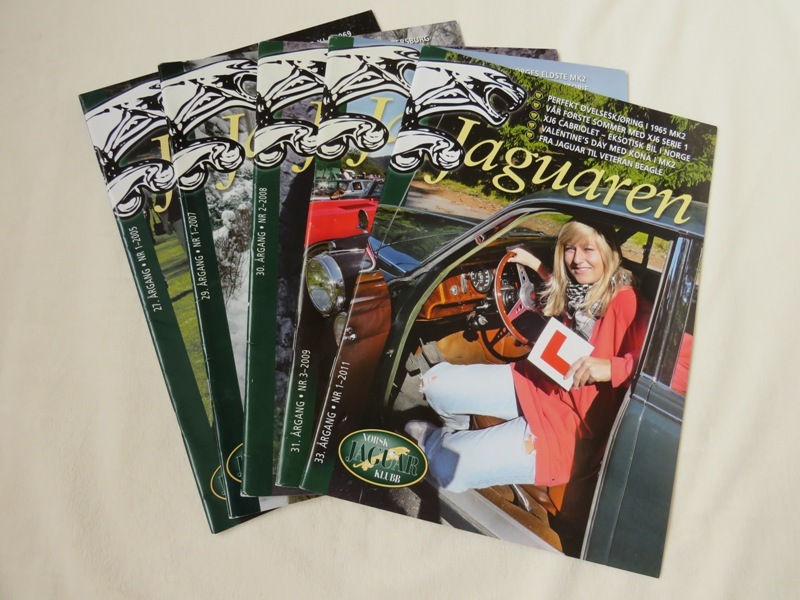 Sigfinn also sent me 5 issues of ‘Jaguaren’ – the Norsk Jaguar Klubb (NJK) magazine, which is of excellent quality, and I still have those copies! Moving forward to 2018 and I was on my, now customary, biennial trip to Shetland for the Classic Car Show in Lerwick, along with Rob Jenner and David Marks. In order to attend 2 events, very closely placed in the calendar, David was combining a trip to Norway and Shetland in his Mark 7 and collecting a passenger along the way! 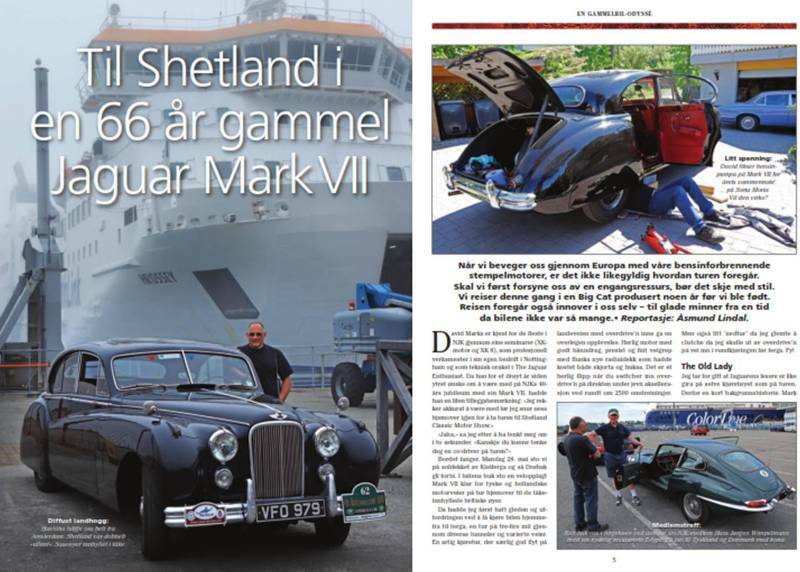 The passenger was Åsmund Lindal, editor of the Norsk Jaguar Klubb (NJK) magazine, who wished to make the pilgrimage to Shetland, as many Norwegians do, in honour of The Shetland Bus connection which formed a close bond between Shetlanders and Norwegians during WW2. A bond which continues to this day! 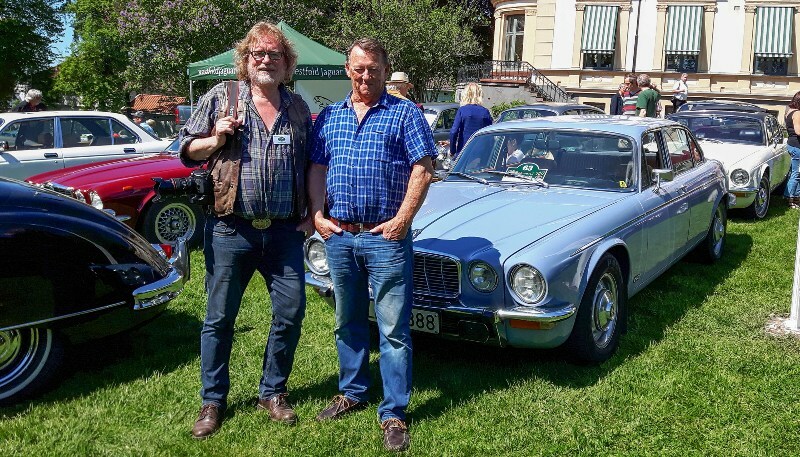 Åsmund, who looks exactly like the archetypal Viking, with his long blonde hair and beard, bought his first Jaguar in 2000 and now owns a total of 4 fine examples! Before that his interest was in motorcycles, and for practical reasons he drove a VW Syncro transporter, which did several family tours to Greece! Åsmund still enjoys owning and using several motorcycles and is seen here with his 31 year-old Harley-Davidson at North Cape in Norway. This machine has performed flawlessly over 225.000 kms from new. In 1999 while driving through the highlands of Scotland he saw a Gunmetal XJ Saloon and was smitten! 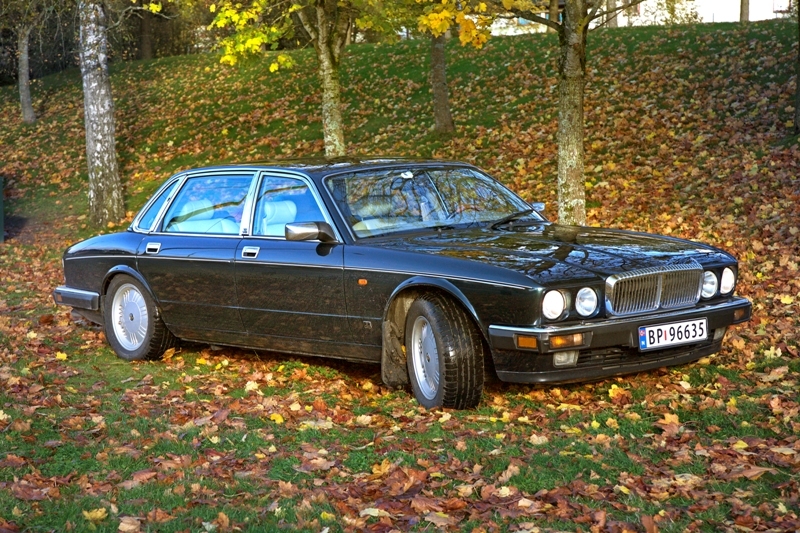 In May 2000 the opportunity to purchase a RHD XJ12 Series 2 presented itself, and Åsmund bought it on an impulse ….. oops! Åsmund joined the Norsk Jaguar Klubb and became friends with ‘Big Bear’ – a Norwegian Jaguar legend, and to cut a very long story short, after much misfortune with the wrong people in England, he finally decided to accompany Big Bear to a V12 seminar presented by David Marks for the JEC. Åsmund also met Nigel Thorley at this seminar. Åsmund approached David regarding the problems with his car and became a customer, sending his car to Nottingham. G. Whitehouse Autos had previously machined a special bell-housing for a 4-speed ZF Automatic gearbox, which David fitted, along with rebuilding the V12 engine and rectifying other problems. 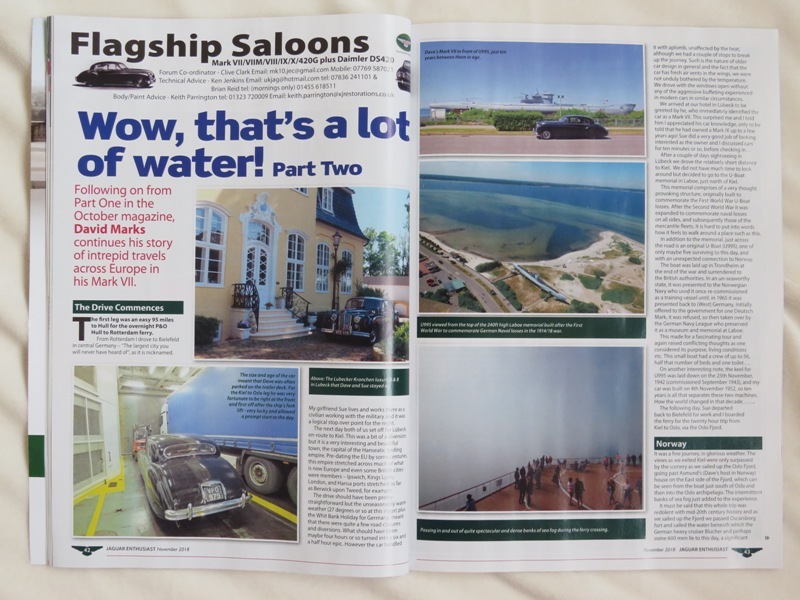 Nigel Thorley did a test drive when the work was completed and wrote an article about the car, entitled “Norwegian Wood” which was published in the Jaguar Enthusiasts’ Club magazine in 2004. This rare Lavender Blue XJ12 is still with Åsmund and in good working order! 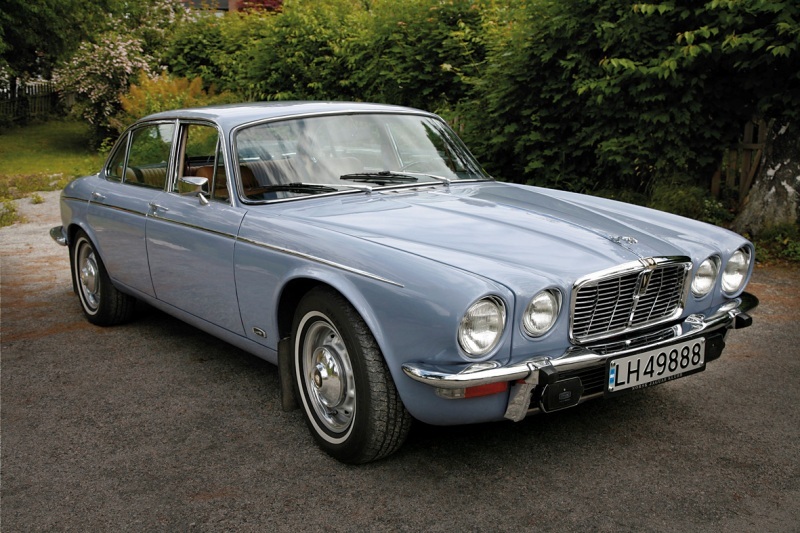 Sold new in 1975 via a dealership in Hull to a Caravan Company, a year later this XJ12 was sold 2nd hand at Thompson of Hull Ltd to a Norwegian sailor, Bjorn Torum, living in Hull. 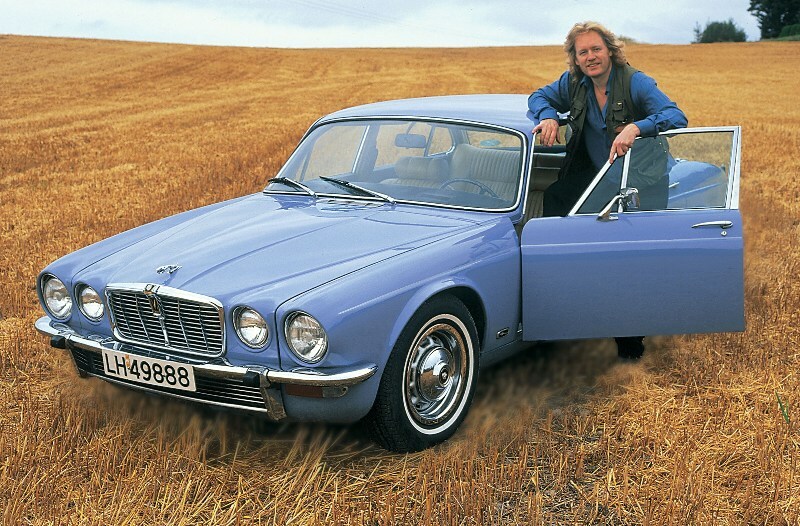 A few years later, Bjorn returned to Norway with his XJ12. Later, he sold it and after 3 more owners and a LHD conversion, it was purchased by Åsmund! Åsmund tracked Bjorn down after searching for him for years. He now lives in Tonsberg, the town next to the island where Åsmund grew up from 1957-72! Pictured here with Åsmund at the NJK summer meeting in Tonsberg, 2017. Åsmund took the car for a good drive with Bjorn, who had tears in his eyes! 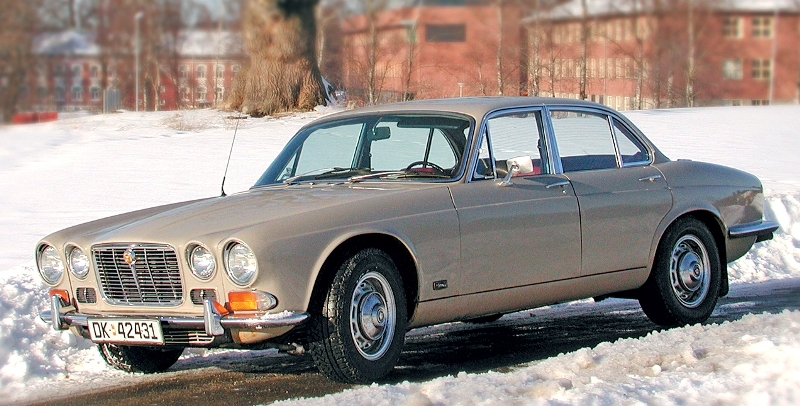 Unable to resist an XJ6 Series 1, he bought a 1973 model imported from Sweden and finished in Ascot Fawn with a dark red interior. This car was in the JEC 20th anniversary timeline at Thoresby in 2004 but as it has been used in Norwegian winters rust problems have developed and it is now a restoration project. 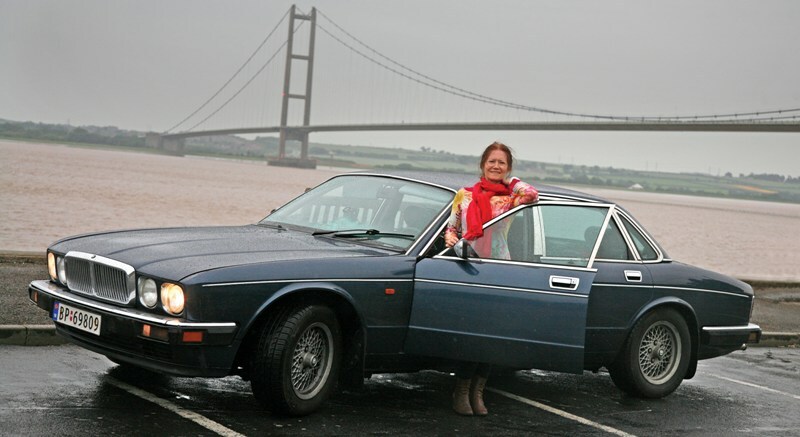 Aleka and the XJ40 by the Humber Bridge The next temptation was a 1992 Jaguar XJ40 3.2 for his wife Aleka to drive, which later became Åsmund’s everyday car and was then refurbished by David Marks. 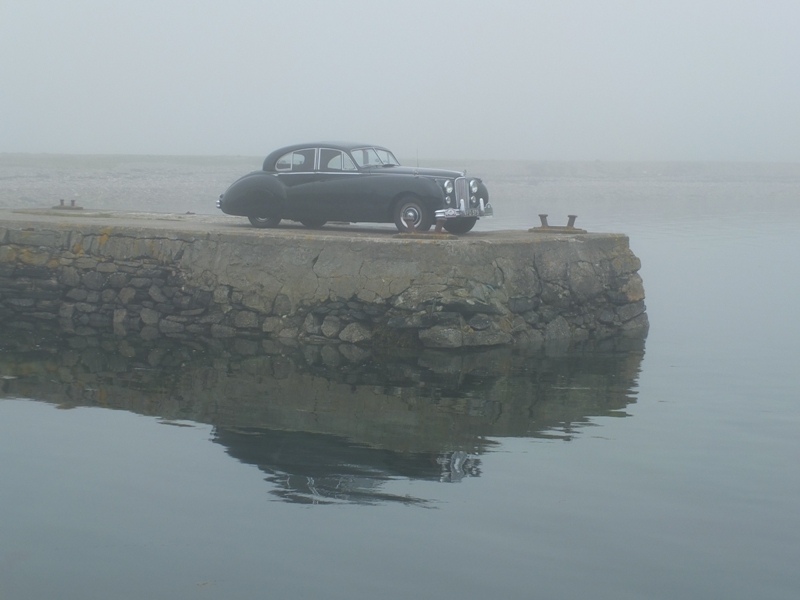 Åsmund has fitted many parts taken from a scrap Daimler XJ40 and close inspection reveals that this elegant lady, now sails under a false flag! 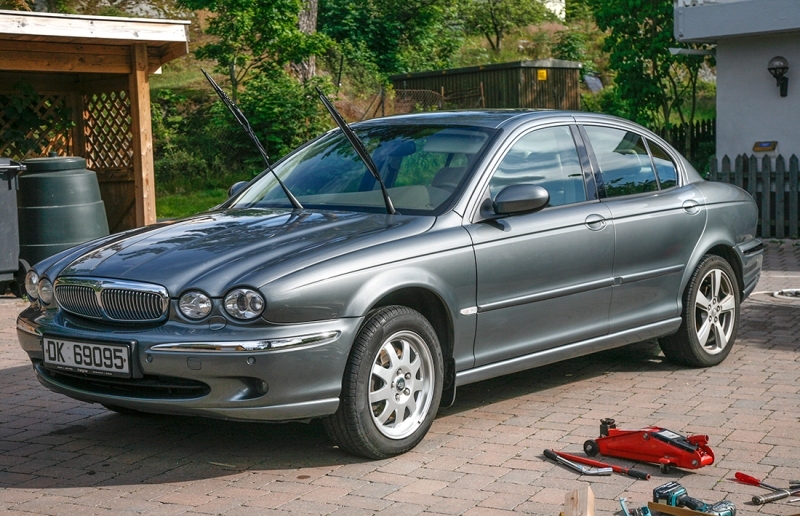 Aleka now drives a 2003 2.0 V6 petrol X-type which is seen here having its Springtime detailing, along with mounting Summer tyres. The Jaguar World is a very small and tight-knit community. When Åsmund told me that he had been loaned a 1994 Daimler Double Six Majestic Insignia for a week in order to do a test drive and report, I knew exactly which car, and who owned it! Steinar Skauen brought this stunning example to Dunkeld in 2016. 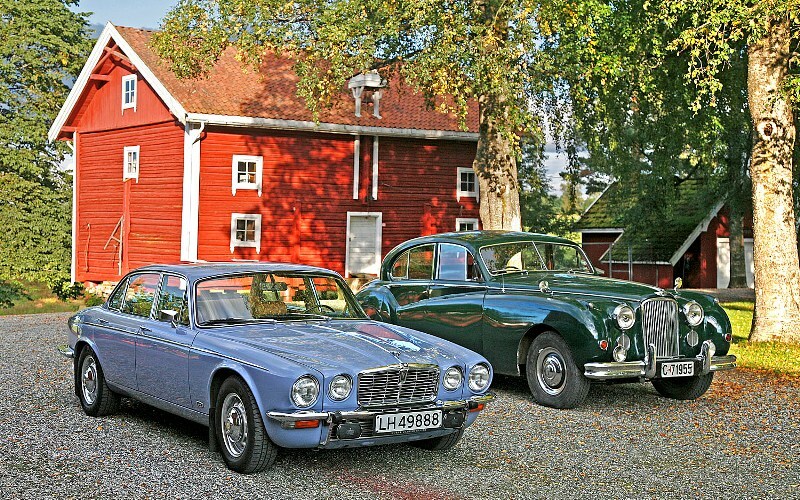 Åsmund’s XJ12 with a friend’s Mark VII. Regrettably, the Mark VII was later completely destroyed in a disastrous barn fire. 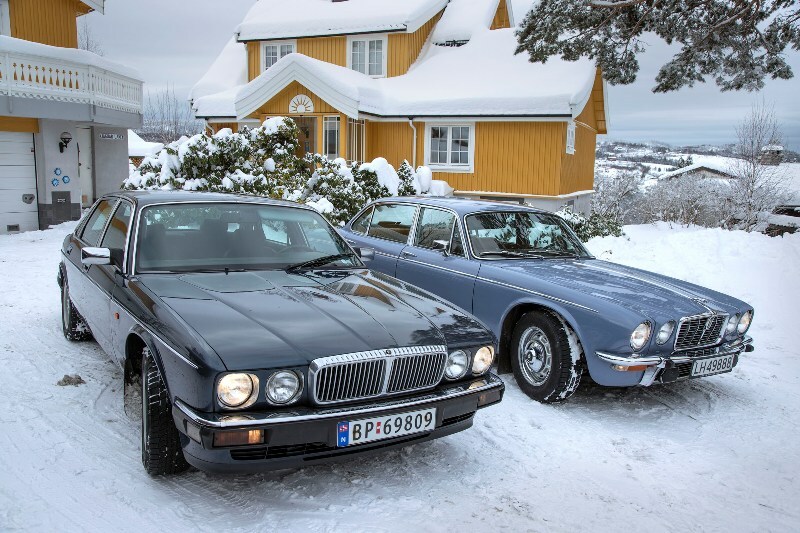 The next 2 pictures show Åsmund’s XJ40 and XJ12 being used in winter! 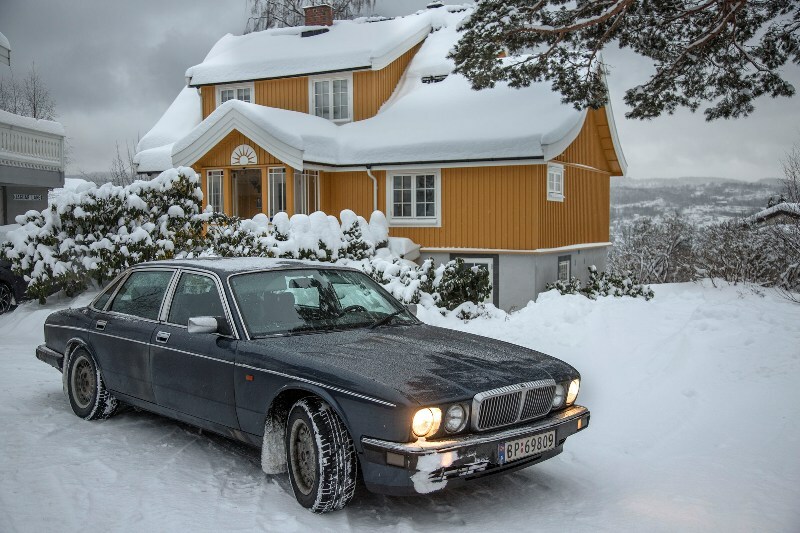 Åsmund’s XJ40 is our cover picture for March 2019, just to show that Norwegian’s are not afraid to use their Jaguars throughout the winter, which rather puts us all to shame in the UK! David Marks was recently in Norway, on 23rd February 2019, presenting a seminar on the Jaguar V12 engine. It was attended by 82 members of the Norsk Jaguar Klubb – a very good turnout for a club with only 1000 members! Åsmund became editor, designer and producer of ‘Jaguaren’ in 2012. His friendship with David Marks grew and in 2018 he invited David to the Norsk Jaguar Klubb 40th anniversary celebration. From there they travelled to Shetland, and as we arrived in Lerwick on the Thursday, David and Åsmund were on the next boat, arriving for breakfast on Friday, in thick fog! After an interesting day out, where we all enjoyed ourselves and Åsmund fitted in perfectly, we all adjourned to the living room of our rented house and Åsmund took it upon himself to do a presentation on the Norwegian delicacies of Lutefisk and Aquavit – from their origins, through their production, to how they should be served and enjoyed! An interesting and entertaining presentation followed by a tasting session with Aquavit, which like Marmite, you either love or hate! Those that hated it provided extra samples for those who loved it !! Åsmund amused himself with his skill for photography throughout the weekend of the car show, and his grasp of English is such that he was able to fully integrate with our rare brand of humour throughout our trip to Shetland. 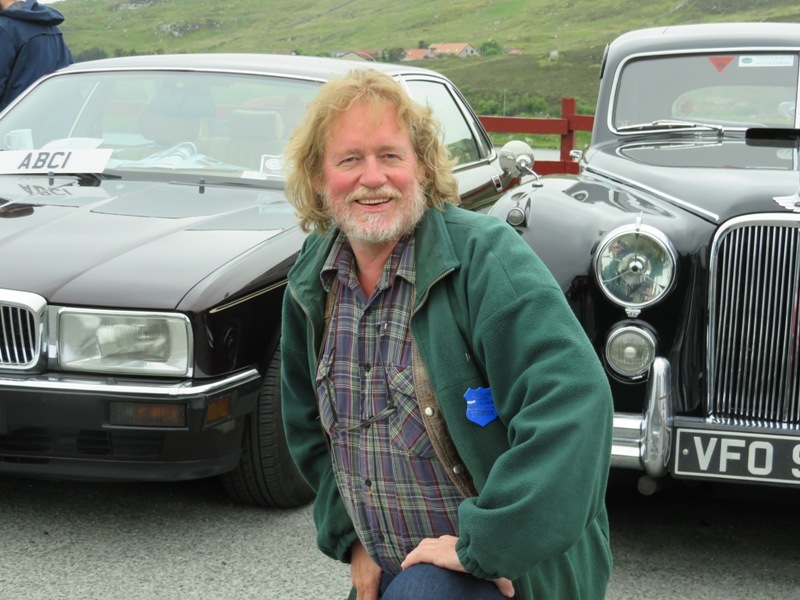 He obviously enjoyed his trip very much, without the need for a great deal of input from us, aside from the natural companionship that came from a shared love of Shetland and all things automotive, particularly Jaguars! On our final day in Shetland, we had all agreed to visit The Cabin in Vidlin and Scalloway Museum, both of which feature largely on the Shetland Bus, which we knew would be of great interest to our new Norwegian friend. 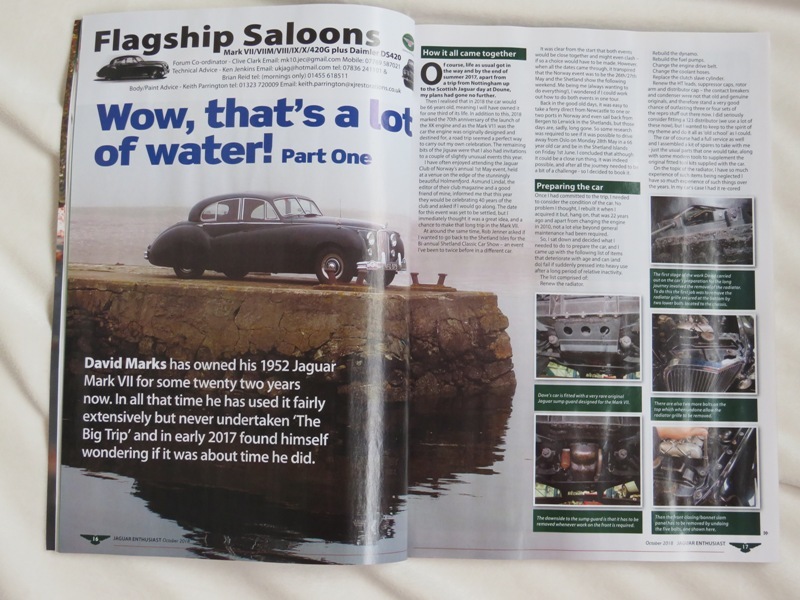 The October, November and December 2018 issues of the Jaguar Enthusiasts’ Club magazine (pictured above and left), were written by David Marks. 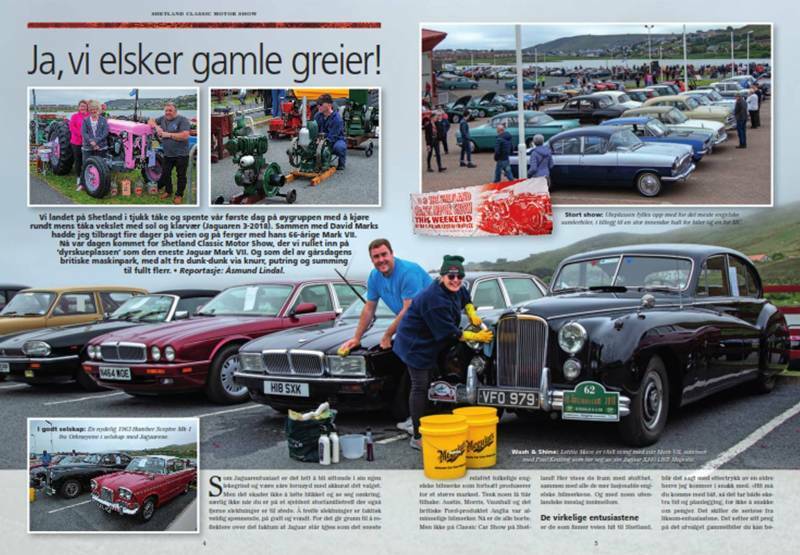 Presumably, Rob Jenner and Letitia Mace left as large an impression on Åsmund, as he did on us, because by September we had received an invitation from the Norsk Jaguar Klubb to join them at their annual Summer Assembly in Alesund, Norway, from 7th to 9th June 2019 and to do presentations of our own for Norsk Jaguar Klubb members. We will be visiting well-known Jaguar enthusiast Gier Folke-Olsen at his home in Norway and meeting ‘Big Bear’, a Norwegian legend who has owned no fewer than 16 Mark 7’s! We are obviously really looking forward to a privilege such as this, and a report on this trip will follow later in the year!